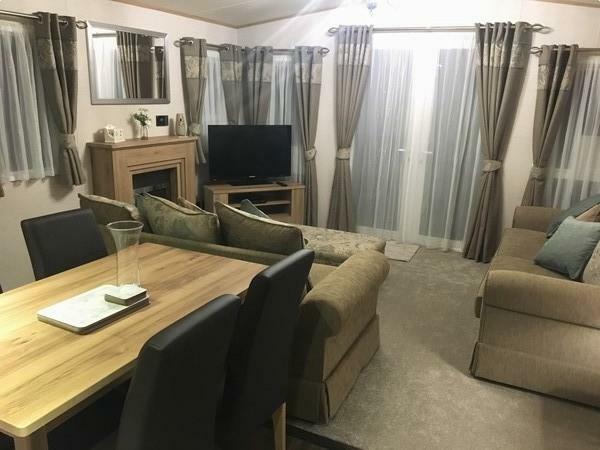 £100 non refundable deposit is required when booking,which will then act as a security bond, and will be refunded back to you, after your departure and the caravan is found to be in the same condition prior to your arrival. 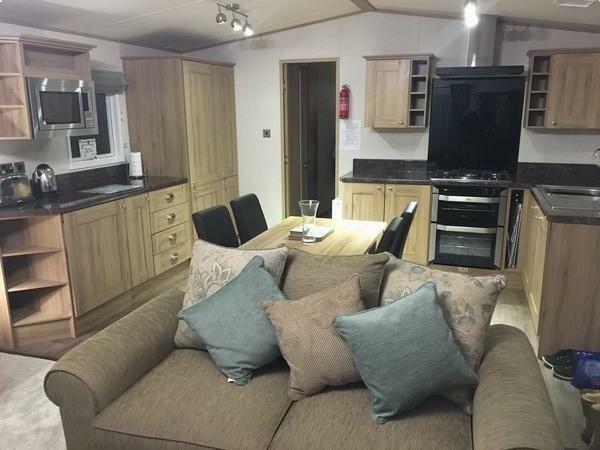 This static holiday home is the largest being 40ft x 14ft, it is a luxurious platinum plus model, which is the highest standard grade there is, it has been furnished and equipped to a superior standard, it’s exceptionally spacious. Consists of a 2 and 3 seater sofa , fire place, coffee table, 40”TV , high quality furnishings, giving it a warm country home feel to it. 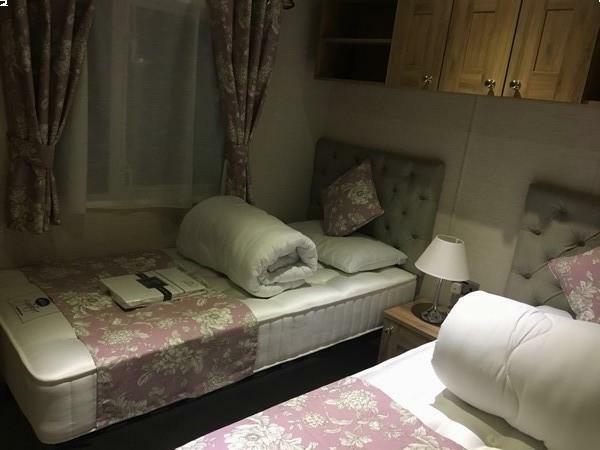 Very spacious, beautiful country feel to it , cupboards and counter space both sides, it’s very well equipped with modern appliances including integrated washing machine and full size dishwasher, large fridge freezer and microwave. 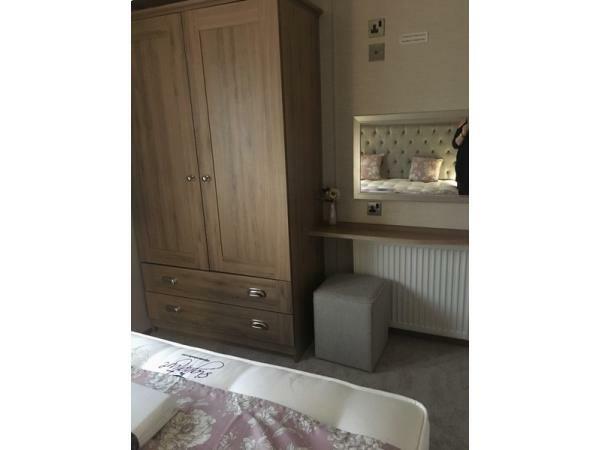 Dressing table, plenty of storage space, double wardrobe. 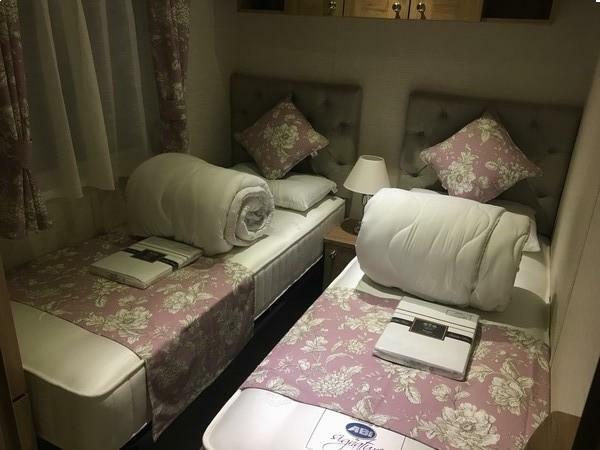 One being slightly larger than the other , both offering larger single beds , Superior matesses in both twin rooms. Toilet and wash basin next to one of the twin bedrooms, fully heated. 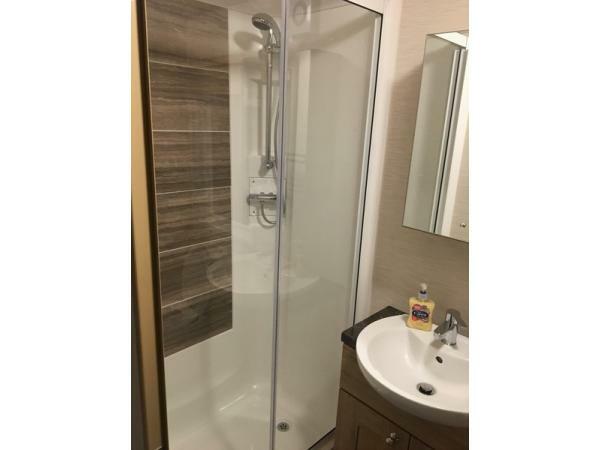 Very stylish, plenty of storage, double shower, wash basin, toilet and heated towel rail.. 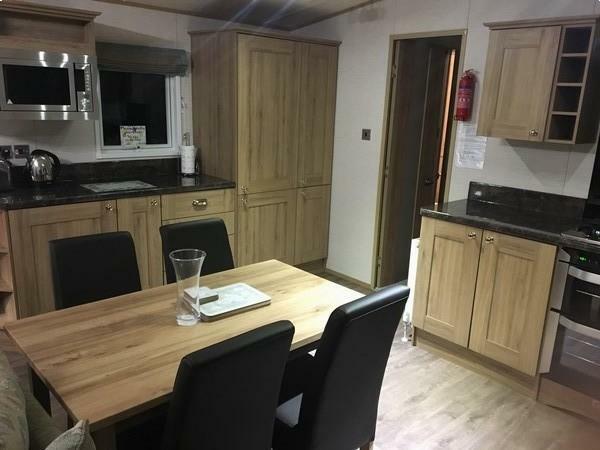 THIS HOLIDAY HOME IS ON EXCALIBUR, A PREMIER AREA OF THE PARK, WITH ITS OWN PRIVATE PARKING SPACE, NEXT TO OUR OTHER PLATINUM GRADE HOLIDAY HOME, THIS OFFERS THE HIGHEST SPEC OF THE TWO. I REALLY DO NOT THINK YOU WILL BE DISAPPOINTED WITH THE LOCATION OR WHAT THIS HOLIDAY HOME HAS TO OFFER!!!!!!! A £100 NON REFUNDABLE DEPOSIT IS REQUIRED TO SECURE YOUR BOOKING. THE BALANCE OF YOUR HOLIDAY MUST BE PAID 6 WEEKS BEFORE YOUR HOLIDAY COMMENCES. YOUR £100 DEPOSIT WiLL BE HELD AS A SECURITY BOND, AND FULLY REFUNDED AFTER YOUR DEPARTURE, ONCE THE HOLIDAY HOME HAS BEEN CHECKED FOR DAMAGES, BREAKAGES OR HEAVY SOILING DURING YOUR STAY, WE WILL TAKE PHOTOGRAPHIC EVIDENCE AND THIS WILL REFLECT IN DEDUCTION OR LOSS OF YOUR SECURITY BOND. WE OPERATE A STRICT NO SMOKING & NO VAPING ALSO A NO PET POLICY IN OUR HOLIDAY HOMES!!! Please note, I offer short break hire being Monday to Friday & Friday to Monday but the main 6 weeks school summer holidays I only offer weekly hire being Saturday to Saturday. 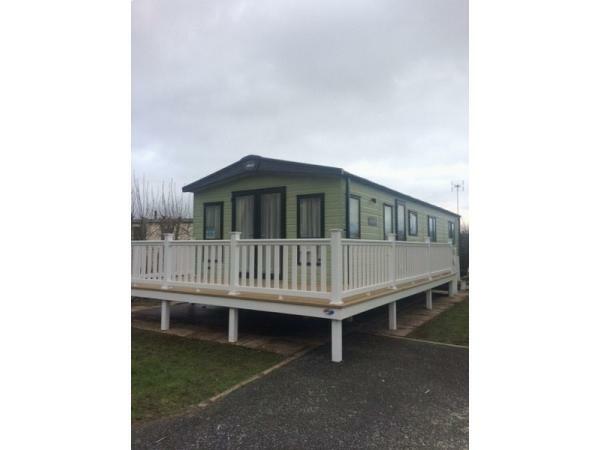 We have just returned from a lovely stay in this beautiful mobile home. Spacious with luxury equipment. Our grandsons had a whale of a time and tried every sport going. Beds very comfortable and caravan in a good spot. Booking was made easy with Elaine and would book again. 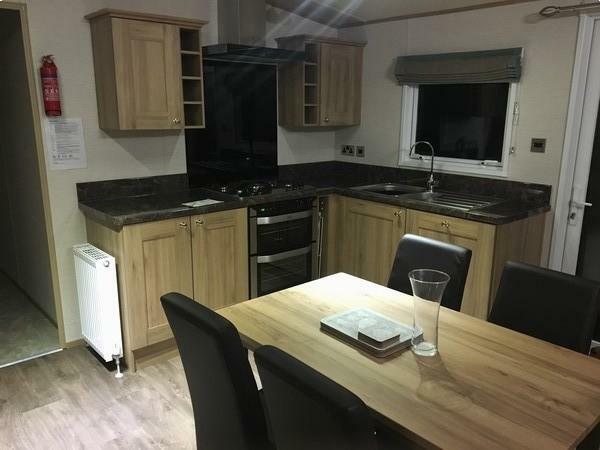 This accommodation is excellent in every aspect, very high standards of cleanliness, a lovely spacious, modern size .We enjoyed our break and will be returning!Elaine was also very professional and friendly, would recommend. Stopped in this Beautiful Caravan, has a lodge feel to it due to its size. 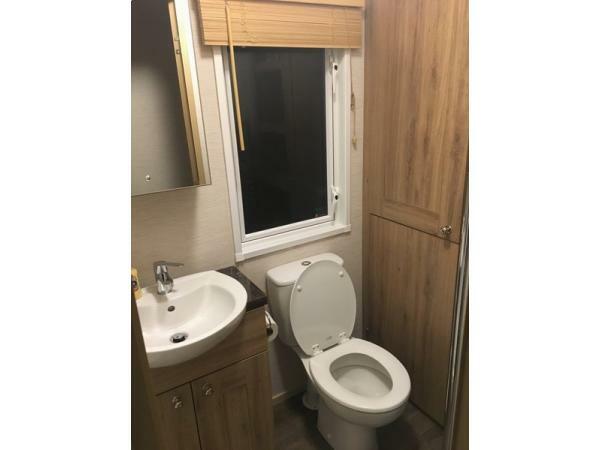 In my opinion the best experince we have had with hiring a holiday home. Sited in a lovely quiter area of the park. Elaine was easy to Book with,and our £100 depossit was returned before we got home. Would 100% recomend this holiday home for hire. We have just returned from a fantastic New Year stay at Greenacres. The caravan was brand new and was perfect, really comfortable and spacious. The kitchen was excellent, with a dishwasher, large built in fridge freezer and washing machine. All mod cons. Bedrooms were of a good size, especially one of the single rooms, plenty of storage space. The location is good. Would certainly book again and recommend to others. We thought it was very good value for money and hope to go again around the same time. Thanks Elaine. 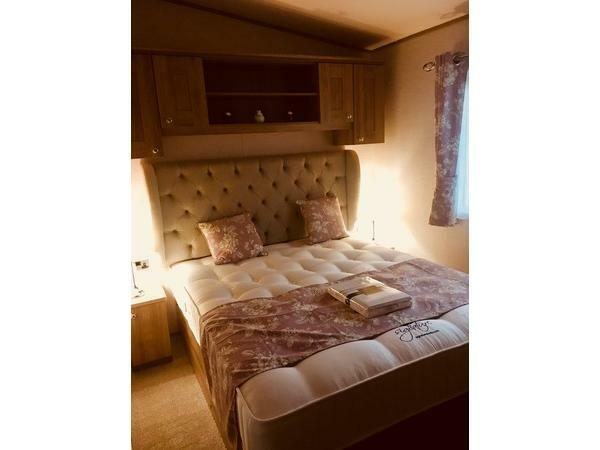 We had a great holiday break in this lovely clean new caravan and shall certainly book it again during the summer with my grandchildren, I would rate this as the best caravan I have ever stayed in and the experience was heightened by the courtesy packs of hot drinks.